Some 52.000 units were registered in the Japanese PEV market, down 7% regarding 2017, with the 2018 PEV share ending at 1.0% share, down 0.1% regarding 2017, mostly due to the Toyota Prius PHEV, that saw its sales sink 54%(!) this year, to some 12.400 units, without any other reasonable explanation beyond the fact that demand slowed down significantly. Is the 2018 Best Seller Nissan Leaf stealing sales to the Toyota PHEV? 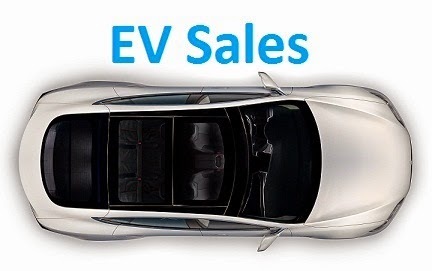 It sure seems so, as the Nissan Leaf, saw its sales grow 52%, although an unusually weak December (455 units, worst result in 2018), prevented the Nissan BEV to beat last year record of 26,734 units, set by the Toyota Prius PHEV. Is the upcoming 62 kWh Leaf already eating sales on the current 40kWh version? Oh well, it didn't got the sales record, but at least it collected another Best Seller title, its 5th, after winning in 2011, 2013, 2014 and 2016. As for the third significant plug-in model in Japan, the Mitsubishi Outlander PHEV, sales were up (+47%) this year, mostly thanks to the recent restyle, that brought updated specs, but still, we are far from the numbers scored in 2015, when the nameplate hit 11,000 registrations. Below the Big Three domestic players, the only other maker with a significant share is BMW, with 8%, with the following being Mini, with just 2%. In 2019, expect the market to resume the growth path, with the Nissan Leaf becoming a more frequent presence among the mainstream best sellers, thanks to the new 62 kWh version. Can you tell me about the sales figures of Nissan e-NV200? Numbers are small, around 100 units. Hi Jose, to my understanding, vehicles sales in Japan depend mainly from the novelty factor: if it is a fresh product, it get lots of registrations, if it isn't fresh, sales are so-so or sunk. Same thing with conventional models. What about Tesla sales, they have already a great network of stores and Superchargers around the country. Numbers are small, around 500 units. But once the Model 3 lands, expect it to show up in the Top 5, maybe as the Best Selling foreigner. Japanese consumers are thrifty. Unless EV become much more cheaper, this market will not take off. This list is a very strong argument why both Nissan and Mitsubishi should start selling a rebranded Zoe, Kangoo, and Twingo ZE in Japan. With six more models offered, it will at least look like a serious market. Yes, the Japanese market is stagnated. With the Korean market growing fast, it won't take long for this market to overcome Japan as the 2nd largest market in Asia. Sorry but i had to remove it, the Ukraine post was creating too much discussion around it. Do you now how many Teslas was sold in Japan in 2017 and 2018? Around 1000 units each year.